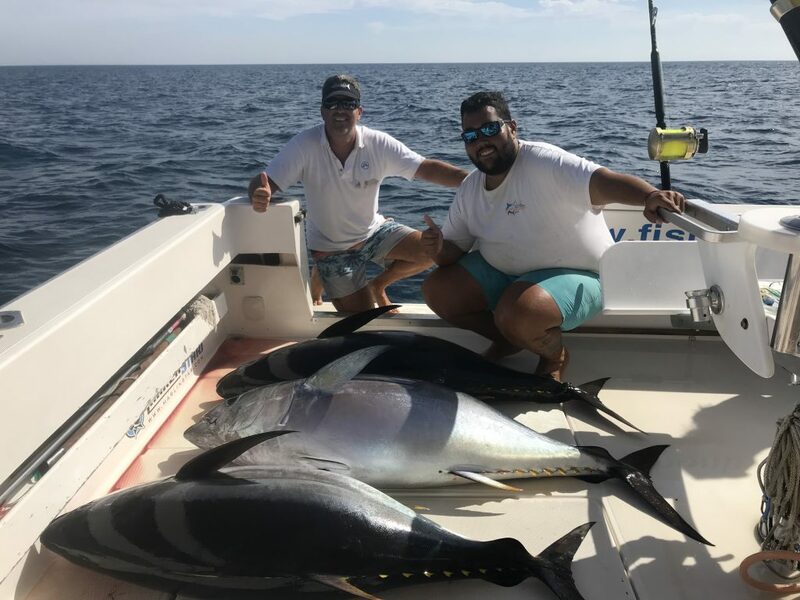 Hat trick of Big Eye Tunas! | Fish On! Today we finally saw some Big Eye Tunas, for some reason they have not shown up last year. We hooked up 4 at the same time and were able to land 3, with weights of 175, 175 and 150 pounds. Great day and everyone happy!